If you use plug-ins to extend FileMaker, you have to check out the BaseElements plug-in! We like the BaseElements plug-in so much, we sponsored two new functions that allow you to use HTTP Post for FileMaker Web Service Integrations. The BaseElements plug-in is free, open source, and is a terrific option when looking to extend FileMaker via a plug-in. 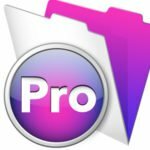 Along with the new HTTP Post functions, the latest version (1.3 as of 1/3/2012) includes lots of new functions and is quickly becoming the Swiss Army knife of FileMaker plug-ins. The BaseElements plug-in now includes the ability to use HTTP Post which allows you to extend FileMaker to Web Service APIs. Push and pull data from FileMaker to a web service. This allows you to do credit card processing, sales tax lookups, integration with shipping companies (UPS, USPS, or FedEx), or with Web Services like Amazon, Google Apps, and others. If you’re not sure whether you can integrate with a specific site, contact us to learn whether you can integrate your FileMaker solution with a web service using the BaseElements plug-in. BE_HTTPPost – This allows you to send data to URLs via POST. For example, you can hand code a XML SOAP envelope and send it to a web service server. The plugin supports both HTTP and HTTPS. BE_HTTP_Set_Header – Used in combination with HTTP Post, this function allows you to set headers for the Post action. Custom headers are commonly needed for web service or payment processing integration. We hope the FileMaker community enjoys these functions and encourage others to sponsor future functions. To find out how to sponsor future functions, visit the BaseElements plug-in Current Sponsorships and Donations page. There you will find a list of functions that need sponsoring or you can suggest a killer new feature that you would like to sponsor. NOTE: At the time of this writing, the HTTP Post feature is only available via the beta 1.3 version of the plug-in. Kevin is CEO and Business Project Manager for DB Services. He also a founding member of the FileMaker Partner Council and certified in FileMaker 17, 16, 15, 14, 13, 12, 11, 10, 9, and 8. 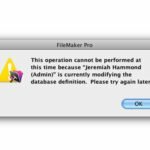 Kevin is passionate about FileMaker as a database software platform and is constantly on a mission to improve how he approaches each assignment.